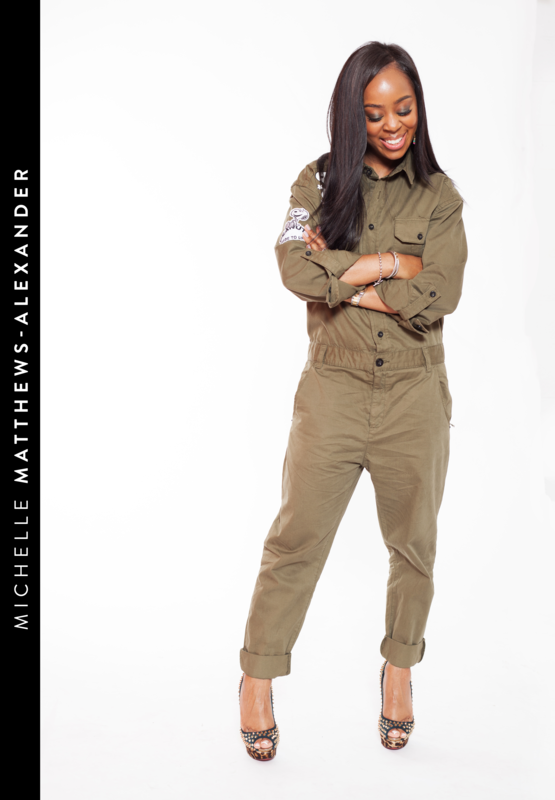 Michelle Matthews-Alexander is without a doubt what one would consider a BlackGlamourMom. From rocking the latest Christian Louboutin heels while powering her way through the morning hustle with her six-year- old son, to managing the slew of emails and meetings that keep her hopping as one of the automotive industry’s top diversity marketing & public relations power brands, she constantly strives to find the perfect (or sometimes not so perfect) balance of being a wife, career-mom and overall fashion and beauty-obsessed millennial black woman. Who said six-inch heels get left behind just because the pregnancy test showed double lines? Yes, I said it! That was not only the exact question that I asked myself, but also the mission that I embarked on before giving birth to my son back in 2012. You see, I, like many other first time glam-obsessed moms, woke up plenty of nights prior to my son’s arrival wondering whether or not it was possible to become a mom and not only give up on my own sense of self and personal dreams, but also on my unwavering obsession with the glamorous life. Fast-forward to now and I’ve not only proven that it’s possible, but that it’s also our GLAM right! In a fun, edgy-glam and free spirited-tone, Michelle dishes on all things related to being a glamorous mom, including content focused on fashion, beauty, parenting tips, a ton of mommy motivation, marriage, pop culture and the perfect swirl of everything else mixed in-between. We at BlackGlamourMom.com aim to become the go-to resource when it comes to motivation for women who not only find solace in locating the latest trends in toddler room decor but who also crave the scoop on the tastiest martinis as well as safest (don’t forget fashionable!) strollers to hit the market. We want to become a part of your inner “Mommy Circle” and create a space for us moms to stay informed and motivated in our quest to live our best lives, all while keeping it GLAM. Interested in connecting with us or have a great story idea? Please feel free to reach out to me at michelle@blackglamourmom.com. As a busy mommy, time can often slip away from me, so please do allow at least two to three business days for a response!